Soulja Boy is about the have the biggest comeback of 2019 after already declaring he made the biggest comeback of 2018. Marketing genius! Everyone is talking about Big Draco after his interview with Power 105's "The Breakfast Club." There were several meme-able moments and the memes are heavily in rotation. He has also gone viral. After his entertaining Breakfast Club interview, the Atlanta rapper continued his "hottest rapper in the game right now" promo tour. He chopped it up with OK! Magazine, doubling down that he's BETTER than Kanye West, no cap! "I'm better than Kanye, Kanye is not better than me. Kanyeeeee? Kanyeee?," Soulja asked incredulously to a reporter who found it amusing, "You talking about the dude who took the mic from Taylor Swift, Kanye? He'd disrespectful, if he would have done that to my little sister it would have been a problem." Soulja said he doesn't agree with how Yeezy is moving out in these streets. "So, he's walking around talking about I'm Walt Disney, I'm Steve Jobs, and I'm Elon Musk, no you not bruh you ain't none of that. You ain't do nothing but come out with a goofy pair of tennis shoes bruh. And those shoes ugly, the new Yeezys ugly, the whole clothing line ugly." Big Draco continued to go in on Ye's fashion designs. "This man got dirty bum homeless looking clothes and he sells them for $1000 dollars, that's not swag, you ain't never seen Kanye dress fresher than me. I'm younger than Kanye, I look better than Kanye, and I produce better beats before Kanye." By the way, he posted the picture posing with Kanye's Yeezy sneakers today. He def called Ye's shoes ugly, but he did say he liked the Yeezys that came from Nike. The "Pretty Boy Swag" rapper also sat down for an interview on Complex's "Everyday Struggle" with DJ Akademiks, Star and moderator Nadeska Alexis. Things got HEATED on the set as Akademiks tried to discredit Soulja on everything he was claiming he has done for the rap game. Soulja also got into it with Star. They were yelling, whipping out receipts, the whole nine. Eventually, Soulja apologized to Akademiks for a video he previously put out about him. Soula also talked about jailed rapper Tekashi 6ix9ine, accusing him of stealing his trolling tactics. Later in the interview, his homie Bow Wow FaceTimed him and he answered. Oh, and Soulja was also promoting his new video game console. TMZ photogs caught up with Bow Wow at LAX today (Jan. 18th) and he said Soulja's captivating press run isn't a PR stunt. He said that's how he really is and that he has always been charismatic, liked to have fun and talk trash, so it's nothing new. He also gave him props for paving the way for artists today. Peep the clip above. 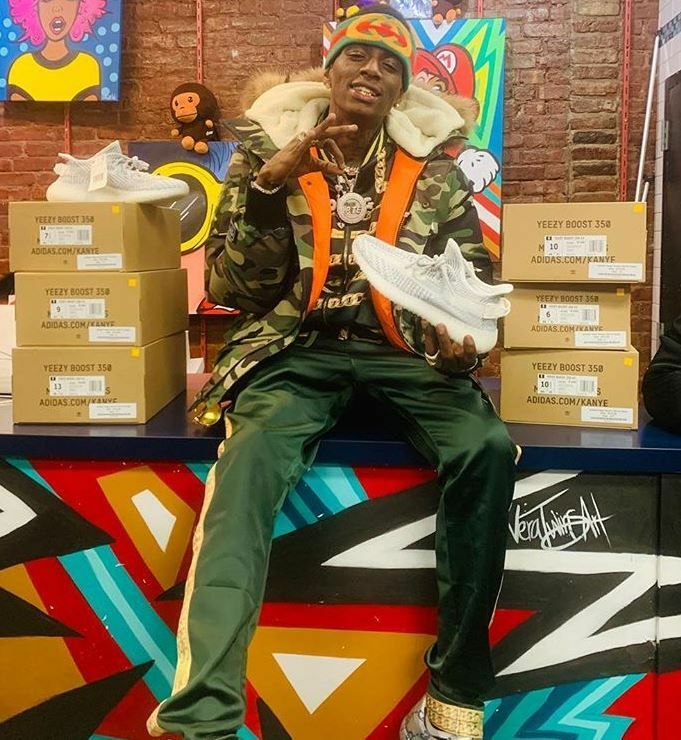 Soulja Boy got into an argument with rapper Famous Dex (the rapper who previously fell asleep on IG Live) on Instagram Live for the world to see. Apparently, Dex took issue with Soulja saying he "discovered" him, so he hopped on his Live. Dex told Soulja he can no longer come to Chicago and called him a "coke head/junkie." Dex threatened to pull up on him and Soulja told him to do it! Watch the clip above. Who had the biggest comeback?! By the way, Big Draco has a new album coming via Entertainment One.